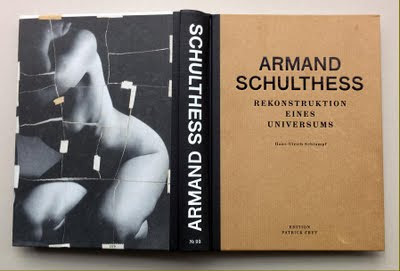 In my post of december 14, 2008 about Armand Schulthess I already referred to swiss photographer and filmmaker Hans-Ulrich Schlumpf. 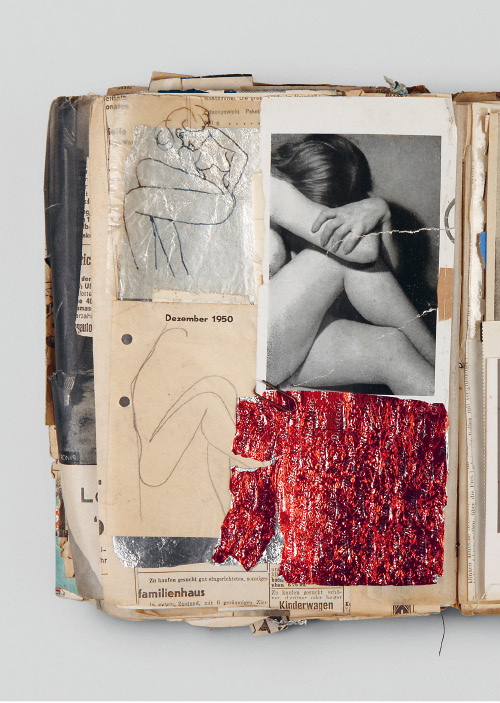 Between 1963 and 1973 the author regularly paid visits to Schulthess and he took the opportunity to make a lot of pictures. He also was present when after Schulthess died, the heirs completely cleared the house and the garden and destructed almost everything Schulthess had written down, both on the panels in the garden and in the some seventy books he himself had composed. Schulthess' singlehanded written (in typescript) and illustrated books dealt with sexuality, and could be seen as worthwhile artistic editions. Except the few Hans-Ulrich Schlumpf succeeded in saving, they have been destructed. The 2011 publication has an introduction (in german) and gives in some 460 pictures an impression of the garden, the interior of the house and Schulthes' books, as far as they have been saved. The book had its vernissage on May 16, 2011 in Zürich, Switzerland.